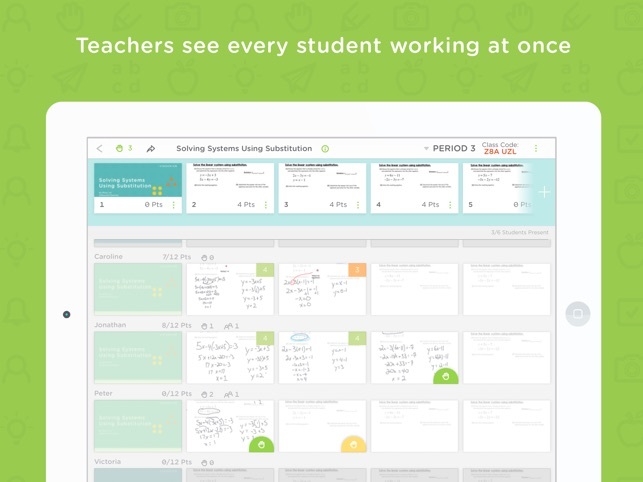 I love the idea of Classkick. 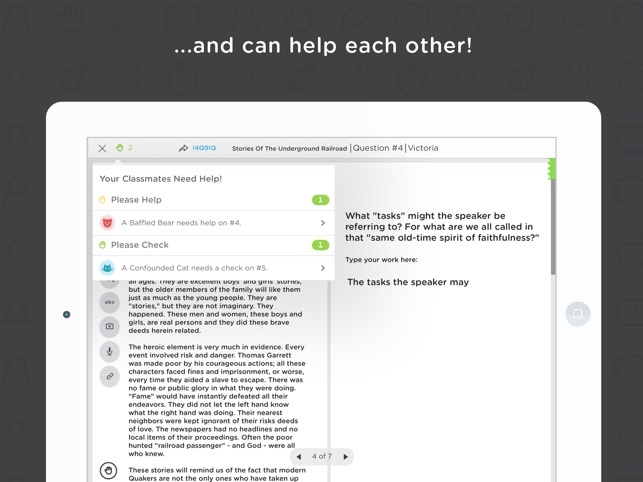 It is easy to use, allows me to quickly and efficiently give feedback and help students, and lets students anonymously help each other. My issue is that the interface is not as friendly. It is not very smooth to write on. You cannot zoom in very much. There is little option for font and color. My students do not like writing in it, so I am looking for an app that does all the same things, but is smoother. After using the app I found that it was difficult to use. One issue is that the controls are bad and it’s hard to customize the text box when you are typing in a text box. Another issue was that because I had so many tabs open on my iPad I was closing them out and after I closed out the tab for classkick the app kicked me out and would not let me sign back in. 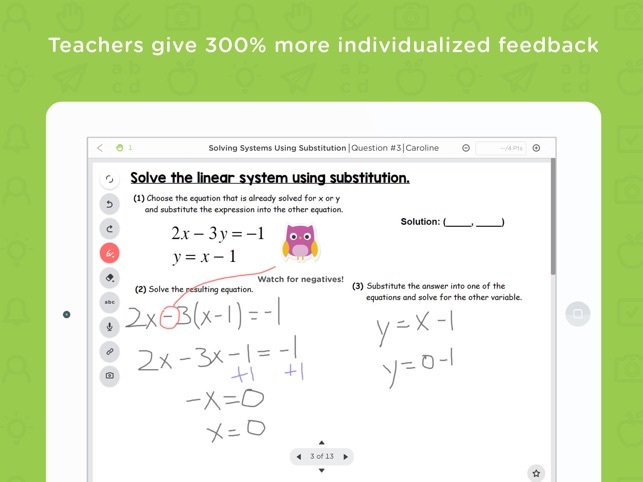 I’d definitely encourage Notability over classkick.